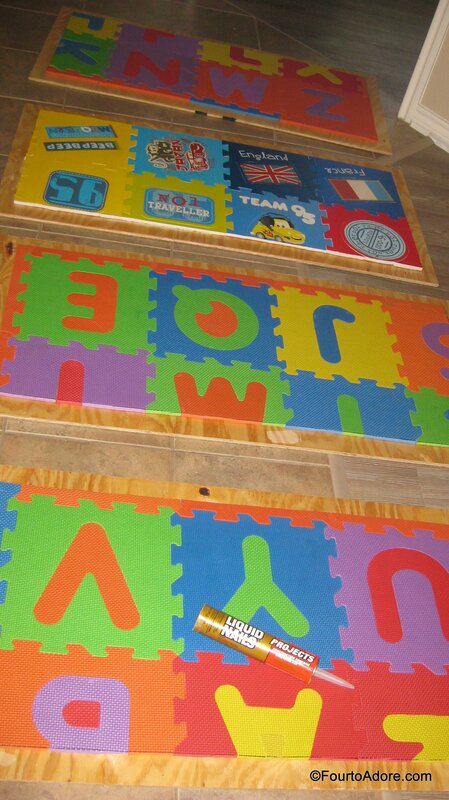 My wife loves doing art projects with the kids, and even more displaying them. 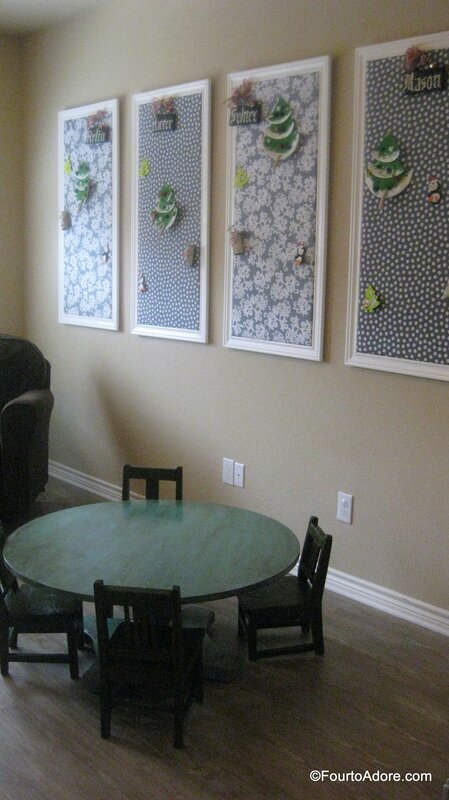 At our old house, we created a simple children’s art display using open frames with clothes pins and ribbon. It worked relatively well in the old space. When we moved to the new house, the art display came along. Because the kids started creating a lot more art, Amber added a few more frames to the art gallery wall. After a while, the frames became overly crowded and cluttered looking. Also, they were crooked on the wall most of the time. Of course eight little hands also rearranged the frames frequently. It bothered me. I had an idea to streamline the gallery and give each child a designated place for their own work. 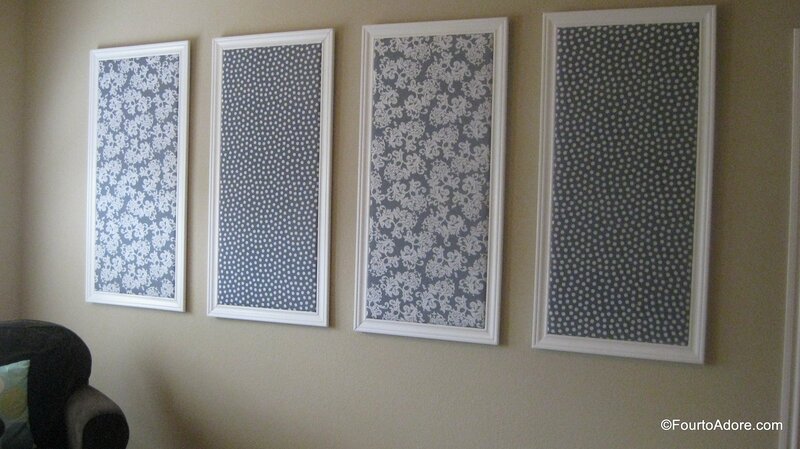 Here’s how the art gallery wall looked with open frames. Draw a line 8″ down from the top on each board (This is the BACK). You will use this line later to place hanging brackets. 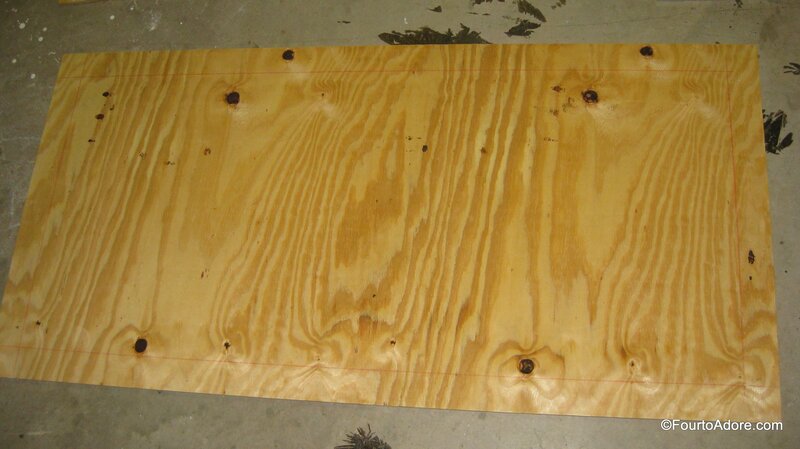 Flip each board over and draw lines 2″ in from all sides so you have a rectangle drawn(This is the FRONT). 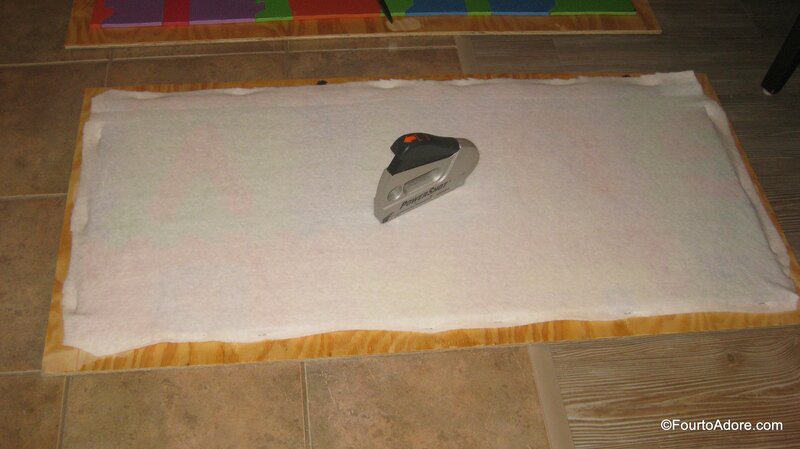 This will show you where to place foam and trim. Lay interlocked puzzle pieces on each board. 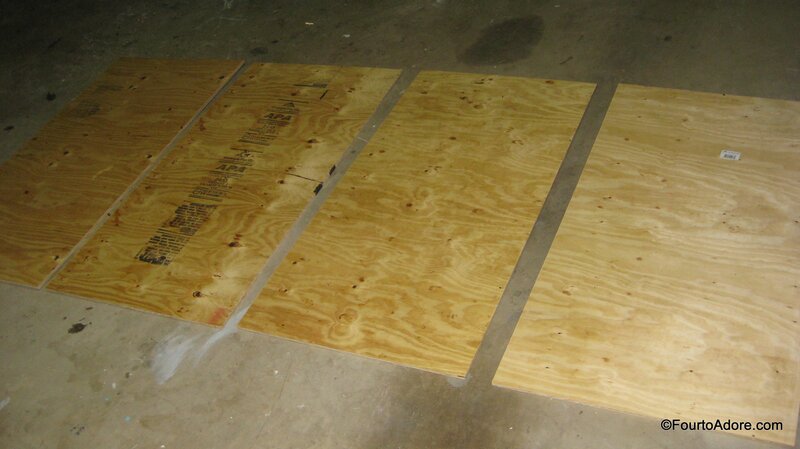 Then, use scissors to cut them to fit into the rectangle drawn on each board. Finally, use liquid nails to adhere puzzle pieces to each board. Allow to cure overnight. 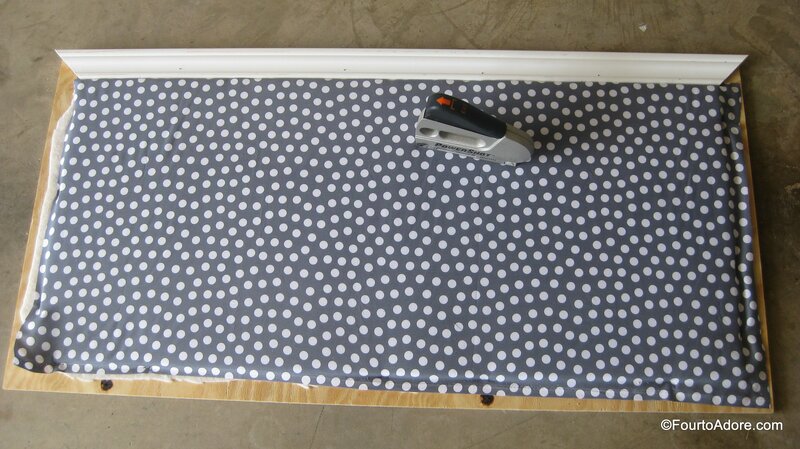 Cut batting to fit over puzzle pieces and secure with a staple gun. This step ensures that surface is smooth. 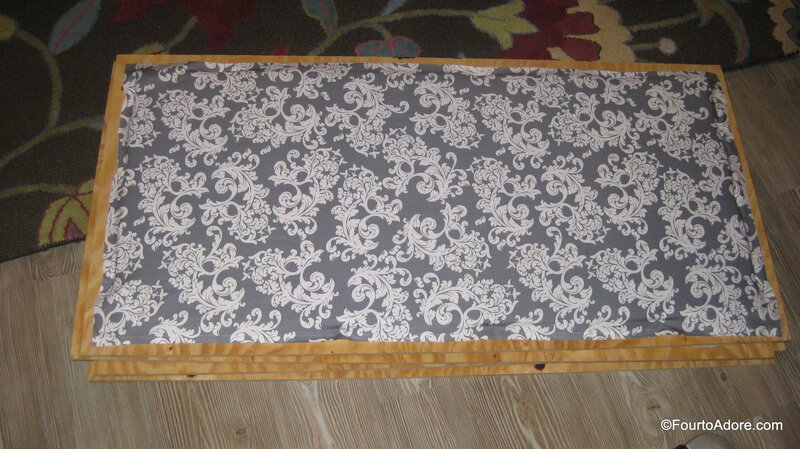 Cut fabric to fit over batting then secure with a staple gun. Miter cut trim at 45 degree angles and secure to board with brad nails. 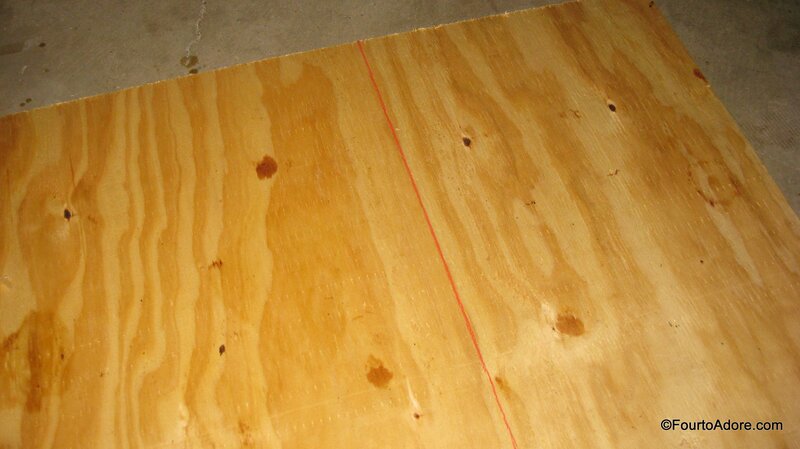 Once all trim pieces are attached, each board should look like this. 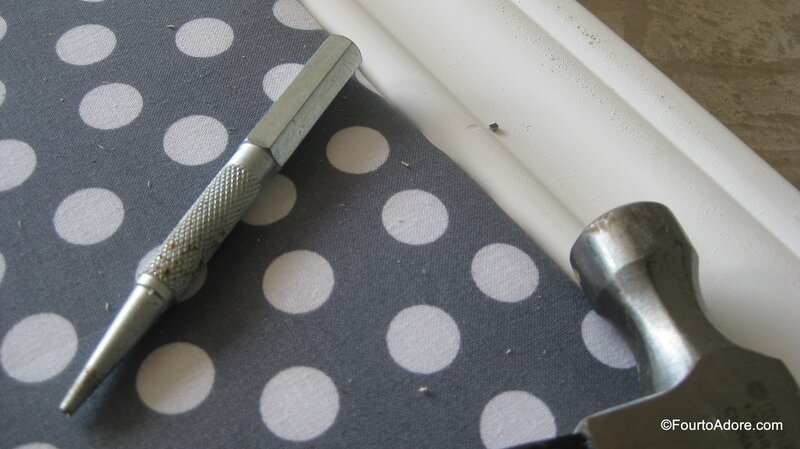 Using a nail set and hammer, push nail heads into the trim. Flip each board over and attach hanging brackets to the backside. 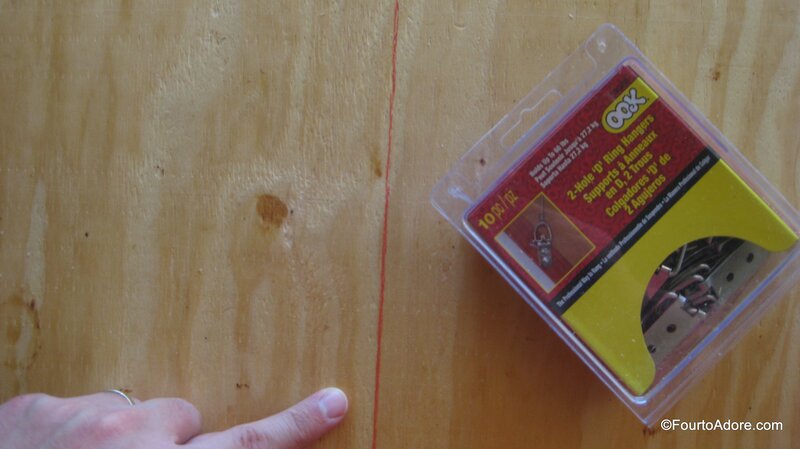 Use the previously drawn line as a guide for placement. 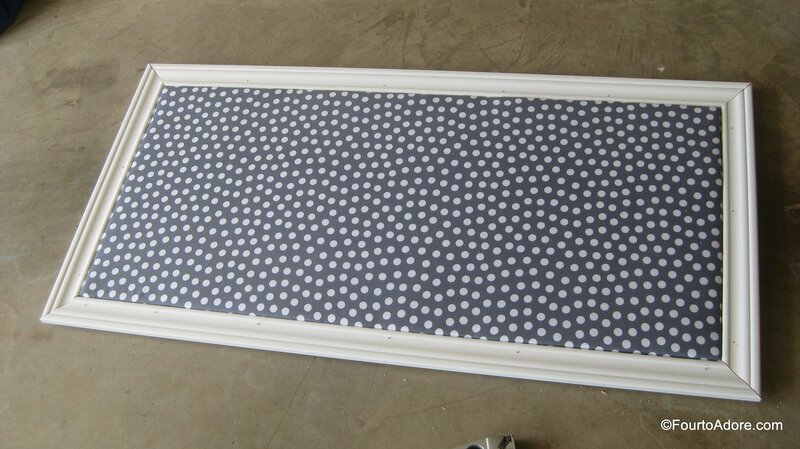 Use painter’s caulk on the front side to cover nail heads and fill gaps at the joints. Finally, use one coat of paint to hide imperfections in the trim. 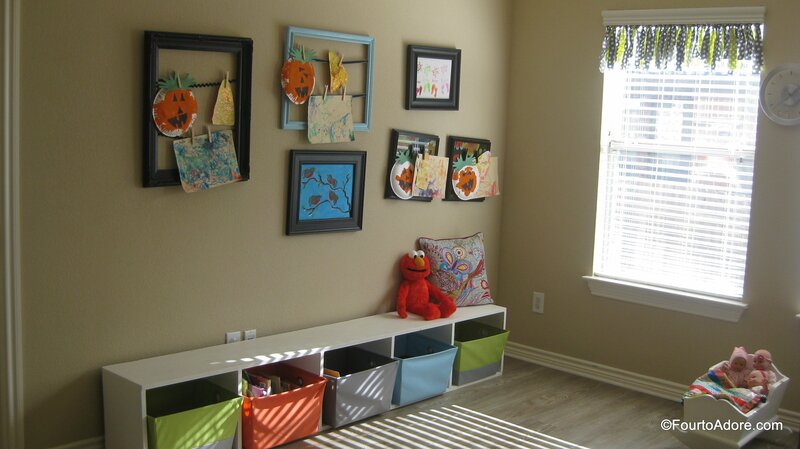 Enjoy displaying artwork! It cost about $25 per board to make, and I’m really pleased with the result. It was George’s stroke of genius! 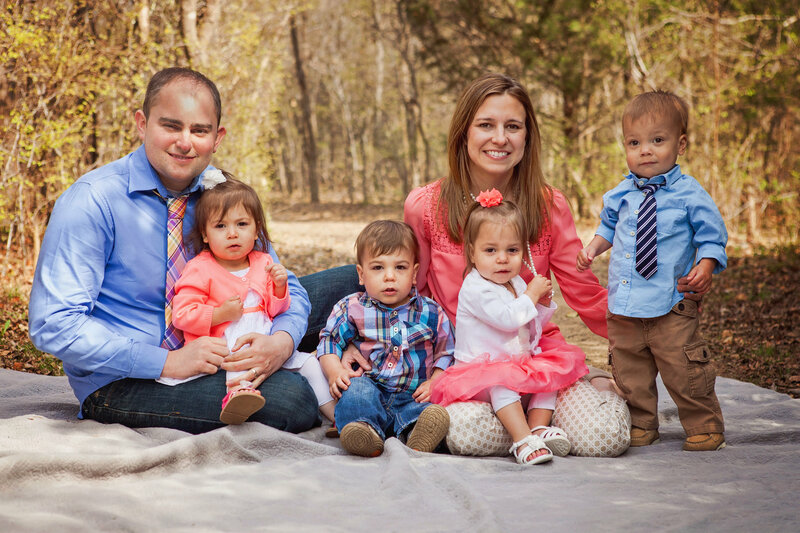 Nice work, dad! Do you ever sleep? Thanks! It took him many weeks to complete this…but we really don’t sleep much around here, unfortuntately. Wow! Looks really good. I may just have to get my husband to snag this idea at some point! At first when I saw the uncovered foam blocks, I was like, “Yikes, where is this going?” But then he covered them with material and that was genius! Thank you! When George first pitched the idea, I wasn’t sure about it either. I love how they turned out!